Ubud – known for its vibrant fine arts, dance and music scene – is one of the most beautiful towns on the island of Bali in Indonesia. Thanks to the 2006 best-selling memoir ‘Eat, Pray, Love’ by Elizabeth Gilbert, thousands of people flock to Ubud each year since, searching for their own life transformation experience. There’s a profusion of wellness spas and yoga retreats catering to the health-conscious, spiritual-inclined, inner-peace seeking crowd, along with dozens of restaurants that serve top-notch all natural, healthy food. With the abundance of fresh seafood, chemical-free meat, and a cornucopia of organic fruits & vegetables, Ubud boasts its own distinctive “green” cuisine. 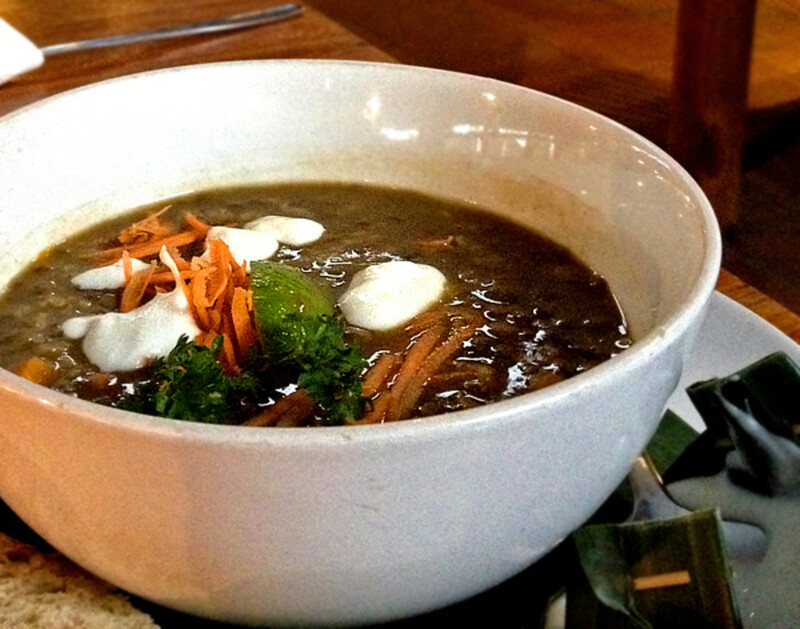 So, whether you are a yogi or foodie, enjoy the healthiest and tastiest foods that Ubud offers! 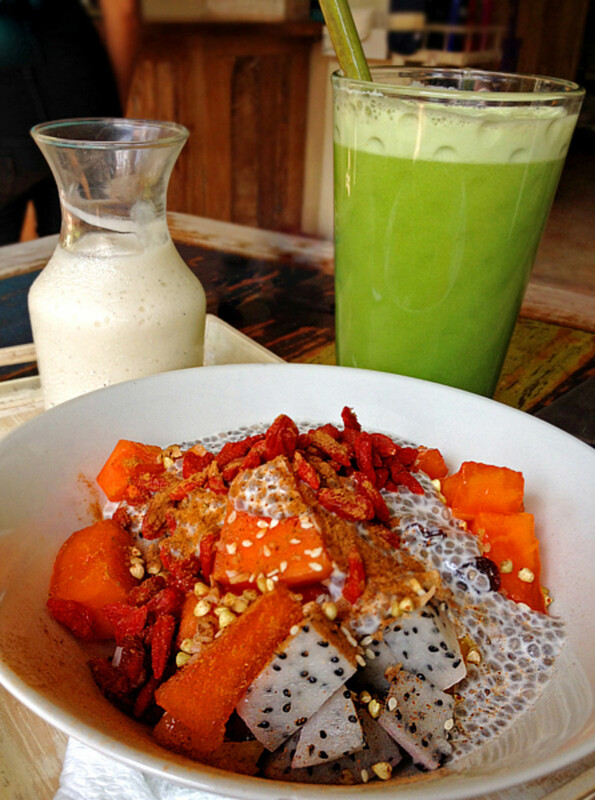 Claimed to be Bali’s first 100% raw vegan café & juice bar, it’s a great place for breakfast or lunch. Uses fruits and veggies grown on the owner’s organic farm. At breakfast, pick and choose choices of exotic fruits, granola, muesli, nuts, and seeds to create your own cereal bowl, then top it with thick, creamy, non-dairy mango or soursop ‘yogurt’. Sumptuous salad bar at lunch. Order a slice of the rich, cheesy spinach mushroom quiche, you wouldn’t believe it’s vegan! 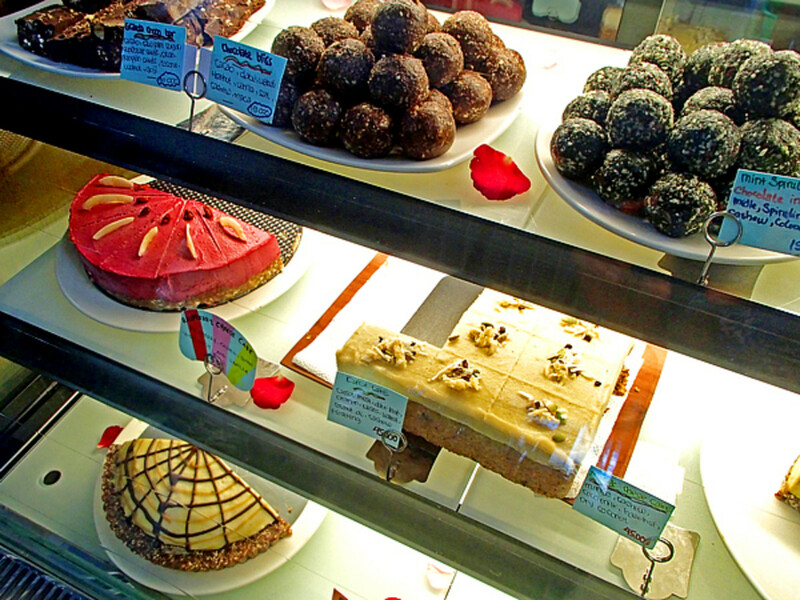 And good luck trying to resist the mouthwatering raw desserts on display! Friendly staff, outstanding service. Also runs a small holistic clinic offering natural treatments/remedies. "Real food by real people” is their motto. 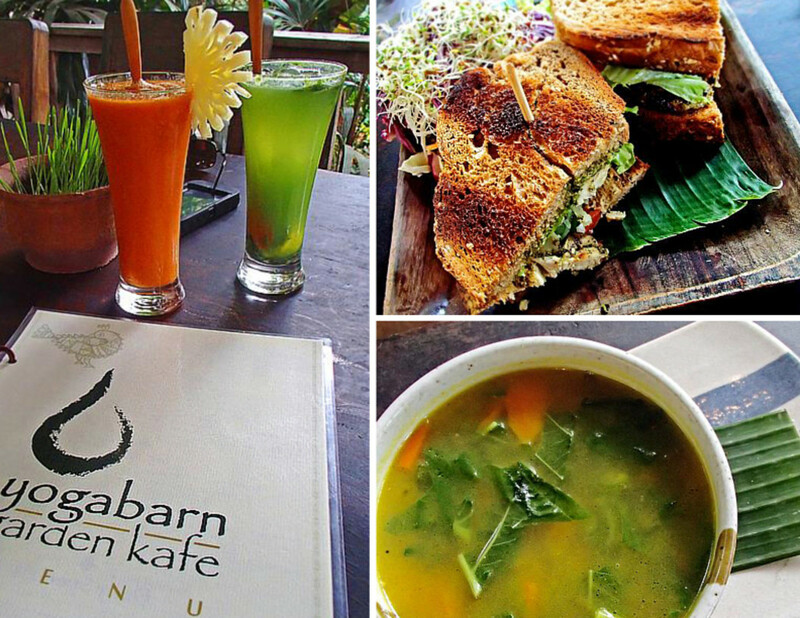 Located across from the busy Ubud Post Office, it’s a calm oasis – ideal for leisurely lunch or dinner. Huge menu (the size of a newspaper!) offers traditional Balinese dishes (sate, nasi campur) and western fare (pizza, sandwich) with creative healthy twist. Uses strictly non-GMO, gluten-free ingredients, as well as hormone-free, antibiotic-free meats including free-range chicken and eggs. 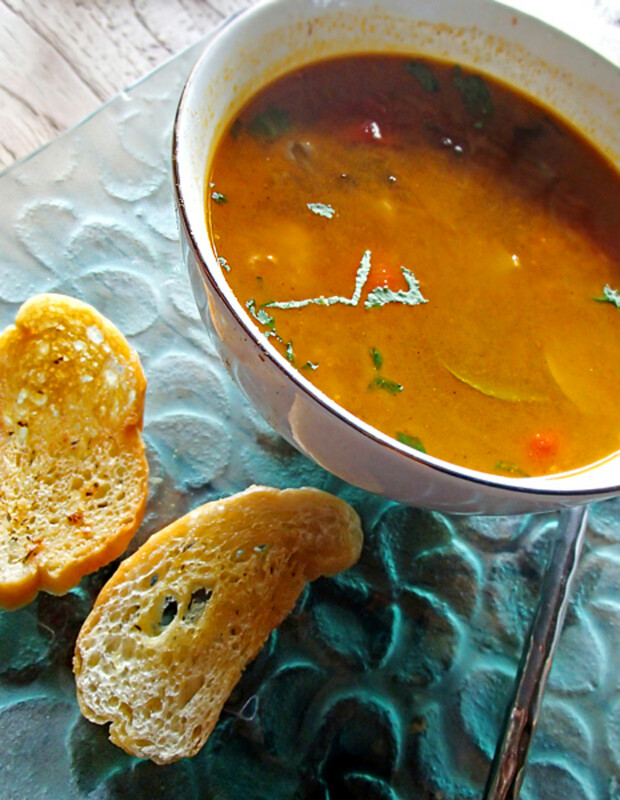 Must try one of the soups (like lentil stew with carrot, pumpkin, kale, and quinoa, served with raw flax seed crackers), it’s utterly delicious! Don’t forget to check out their fabulous bakery and health food grocery just around the street corner. 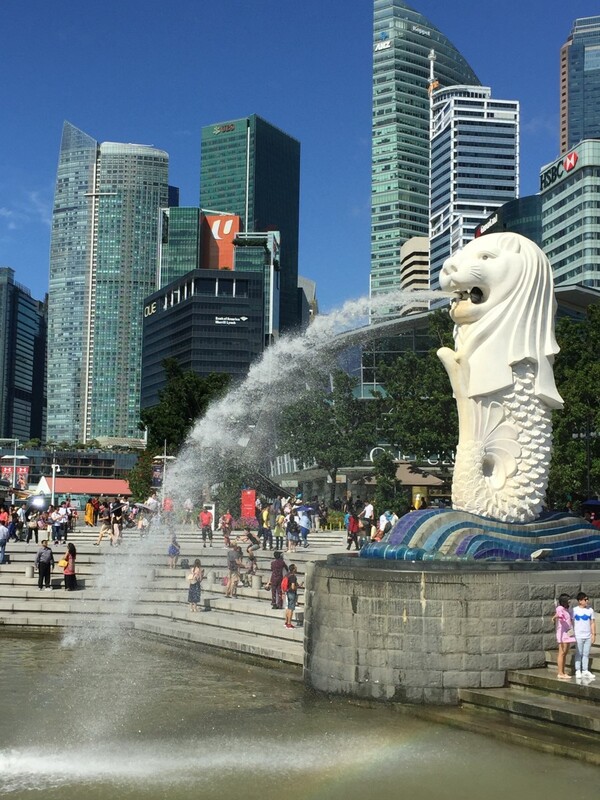 Stylish décor, koi pond, chill-out lounge music – a favorite hangout of the chic and hip expat crowd! 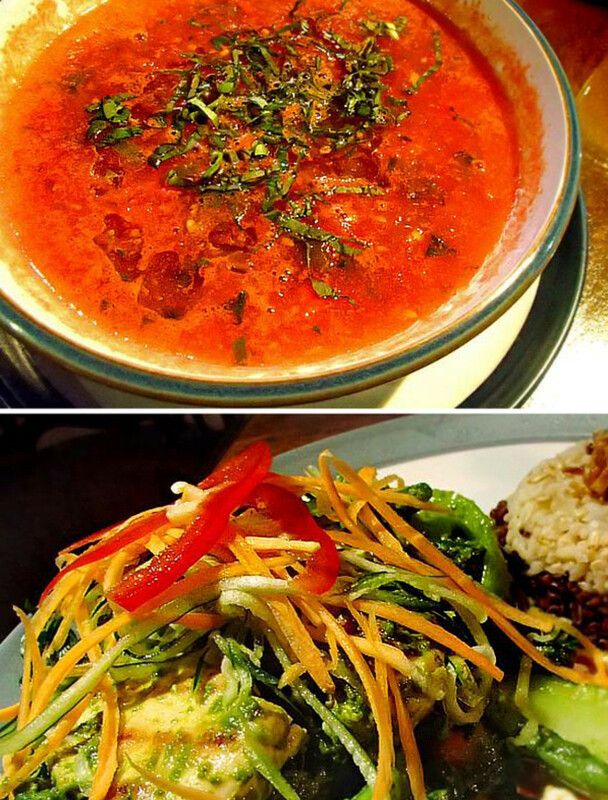 Eclectic menu offers Indonesian, Thai, Indian, Middle Eastern, Mexican dishes that nourish the body, mind, and spirit. Uses only environmental friendly, organic produce from local farms. Seafood fresh off the docks! 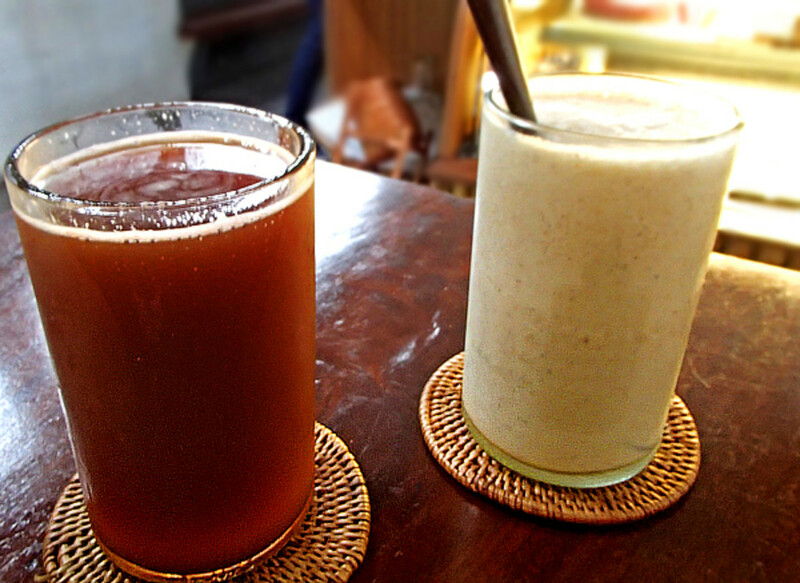 Fantastic drink selections, made with seaweed, raw cacao, goji, aloe, coconut water and other superfood ingredients. Try the jamu – Bali’s classic ayurvedic concoction with tamarind, ginger, yellow and white turmeric. Exquisite food presentation! Professional staff, prompt service. Guarantee once you settled into one of the sofa chairs at this place, you don’t want to leave! You walk into a large health food store thinking “Where is the restaurant?? ?” It’s on the second floor, above the store! Earthy décor, funky hippie ambience (John Lennon ‘Imagine’ playing on the sound system), with over-sized colorful cushions everywhere for lounging. Interesting international menu features all vegan dishes! Try the delightful veggie burger (served with sweet potato fries and salad) or the savory falafel sandwich (chickpea coriander balls in pita bread, with hummus and Arabic salad). Another delectable choice is the stir-fry Japanese noodles (organic soba noodles with shiitake mushroom, broccoli, garlic, served with a light spicy soy ginger dressing). Cool, groovy staff. Truly a vegan paradise! Located near the infamous Karna Street Market, this charming, intimate café is perfect for a quick bite or snack – to restore your strength and sanity before heading back to all that shopping frenzies! 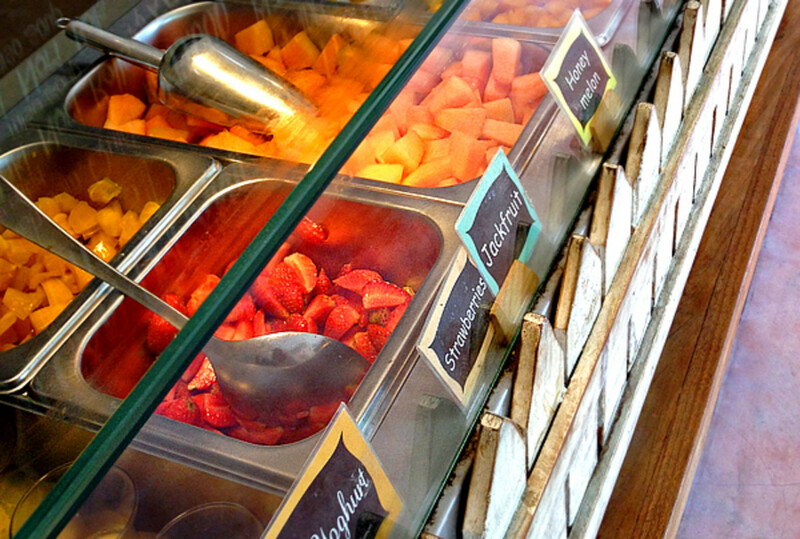 Serves Asian fusion dishes (with vegan and vegetarian options), sandwiches, crepes, and an all-day-breakfast menu featuring scrambled eggs or tofu, with gluten-free muffins or bagels. Many ingredients (including vanilla beans) are harvested daily from their organic farm on the island. Excellent choices of pure extracted juices (wheat grass anyone?) but also has coffee & tea, lemonade, shake, and beer to quench your thirst. Hint: Save room for their luscious homemade frozen gelato! There are 2 locations – one in the center of town and one at the edge of town in the middle of the rice fields! Both are equally amazing. 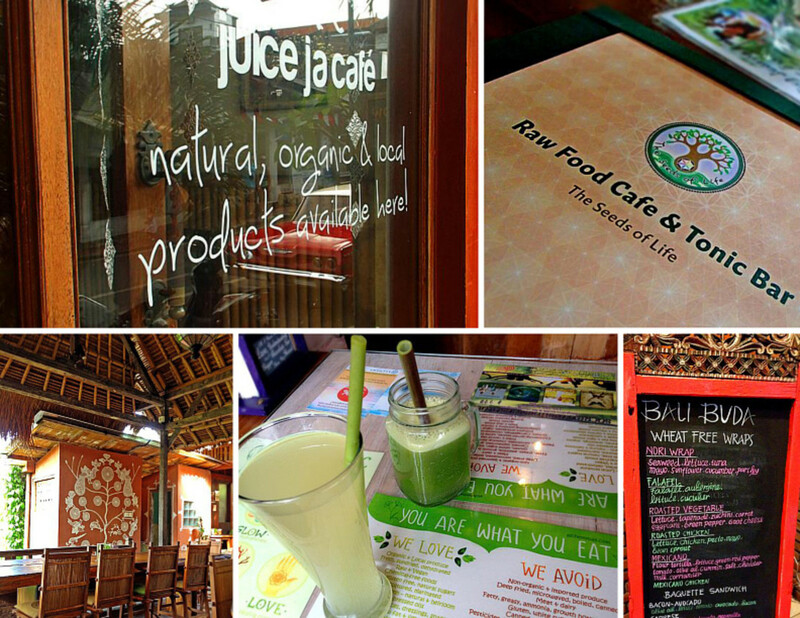 Arguably the best places in Ubud for fresh & healthy food. 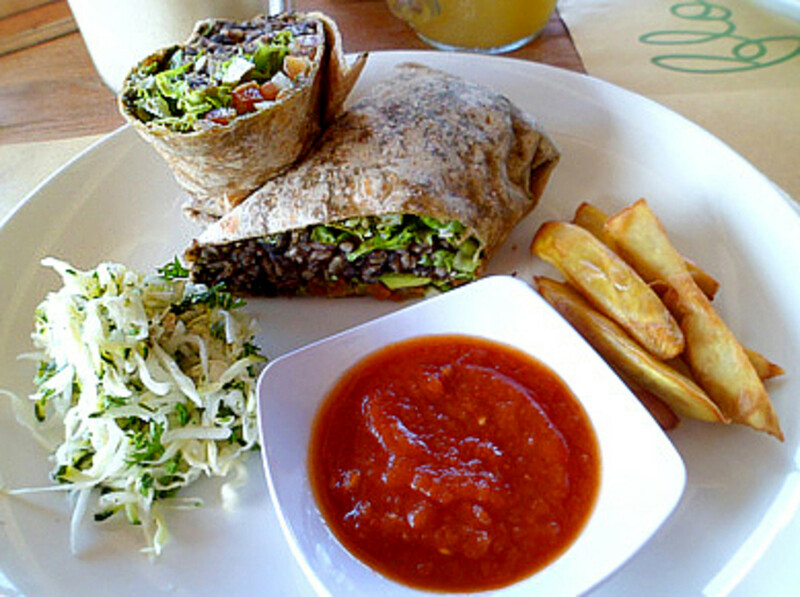 Extensive menu offers delectable raw, vegan, vegetarian dishes, but also has plenty of meat/fish choices. Try the raw zucchini pasta and meatballs (balls of red rice!). Or the gluten-free, dairy-free pizza with chicken, bell peppers, yellow squash, and spinach. Oodles of refreshing juices (tomato strawberry elixir) and colorful, tasty smoothies (crimson carrot dragonfruit) to keep you taste buds sing with joy! They offer raw food workshops all year round, quite popular especially the raw chocolate dessert class! 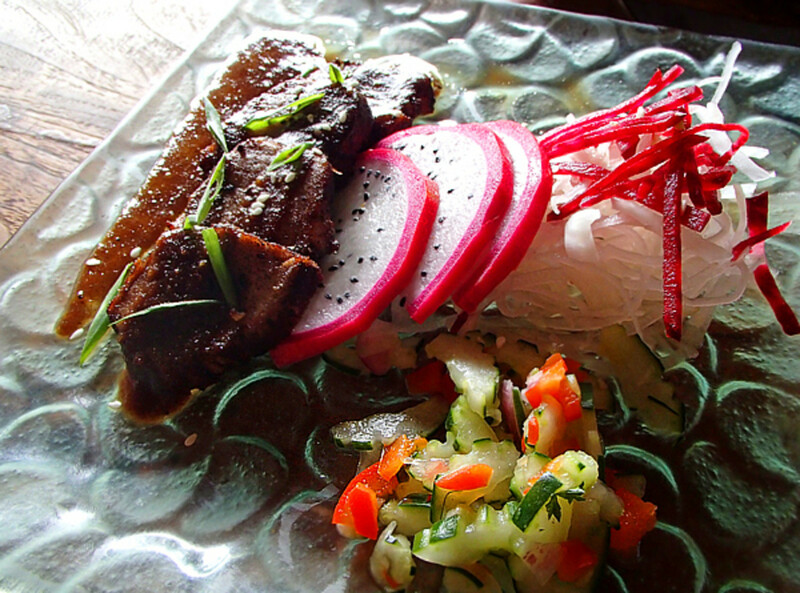 Another great macrobiotic/raw food restaurant in Ubud! Very Zen setting – from the Asian-inspired décor to the simply prepared food to the mellow, easygoing staff. 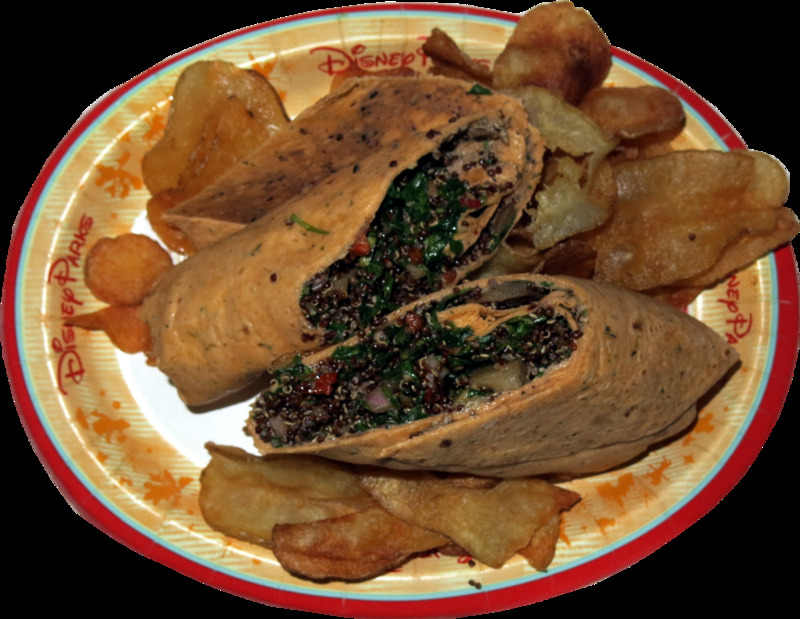 Serves pizza, lasagna, Middle Eastern fare, burgers, soups, and sushi – ALL raw (no cooking involved!) of course. Famously known for their tonic drinks and raw desserts. 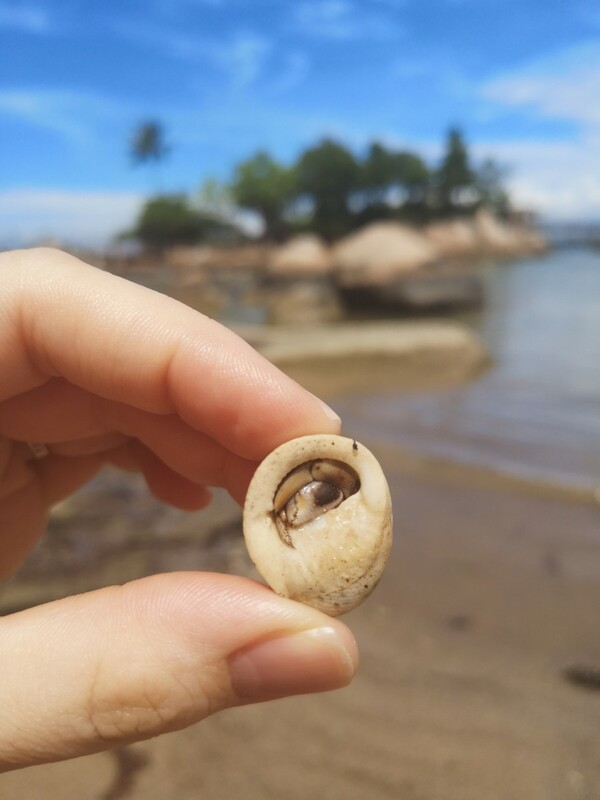 Wild, organic herbs like ginseng, goji berries, Reishi mushroom are made into hot or cold drinks to ensure perfect yin-yang balance of your body and soul. Also has artisan teas and smoothies (like jackfruit smoothie with coconut milk, cinnamon, seaweed, sea salt, and mesquite). Desserts to die for: raw chocolate truffles (must try the lavender cashew truffle! 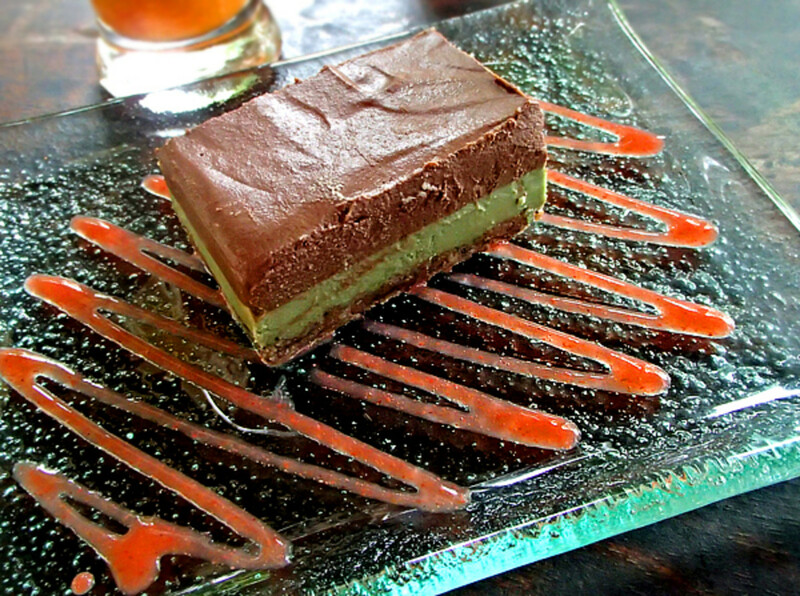 ), cakes and pastries (raw Mexican chocolate peanut butter mousse pie, oh my!). Totally relaxing place, so bring a book or your yoga mat as they also offer daily yoga and Qi Gong classes. Situated at the fame Yoga Barn retreat center. Great views of treetops and lovely tropical garden below. 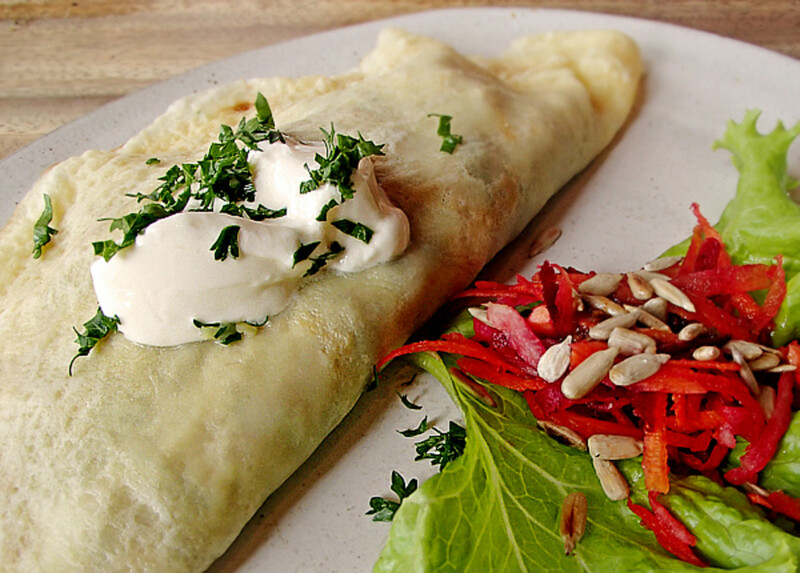 Serves wholesome vegan/vegetarian dishes like soup, sandwich, tacos, and pasta. Uses no animal products (i.e. meat, eggs, or dairy). Incredible selection of gluten-free, raw desserts, all made of fruits and nuts like avocado, banana, date, cacao, coconut, cashew nut, etc. Also has a special ayurvedic (detox) menu featuring foods and drinks designed to heal and rejuvenate the body. Try the Clean Green Juice with gotu kola, amaranthus, mint, parsley, coriander, and coconut water. It can’t get any healthier than THAT! Open for breakfast and lunch from 7:30am to 6pm. Dinner buffet 6-8pm on Monday nights. The author is neither vegan nor vegetarian. 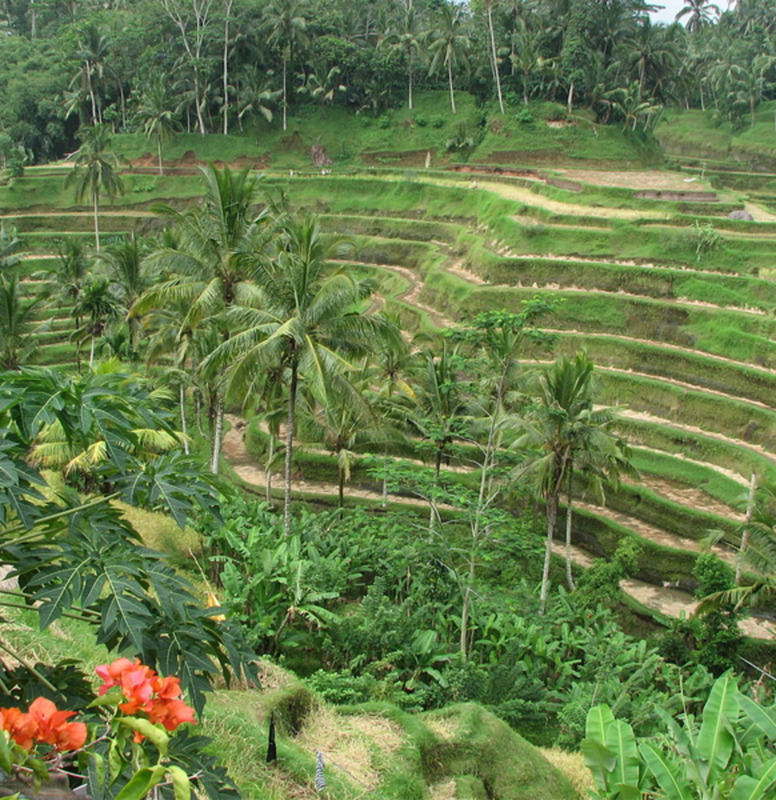 Nevertheless he was very impressed with and inspired by all the healthy foods and drinks he tried in Ubud. His favorite restaurant is Sari Organik. All photos were taken by the author with an Olympus Stylus TG-630 iHS digital camera. Thank you for the information. 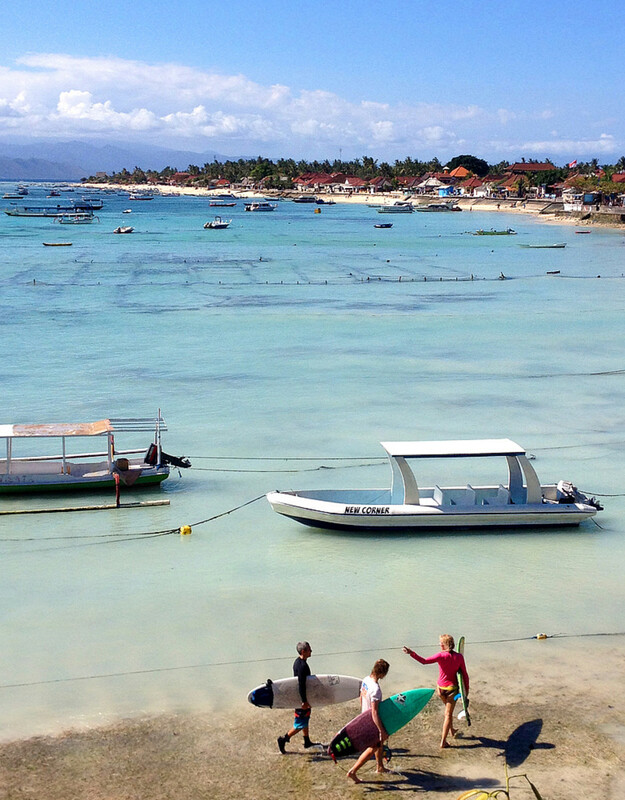 I have got useful reference of quality organic restaurants to visit in Bali. Thank you Kristen, LongTimeMother, and FarawayTree! I'm so glad you enjoyed the hub. 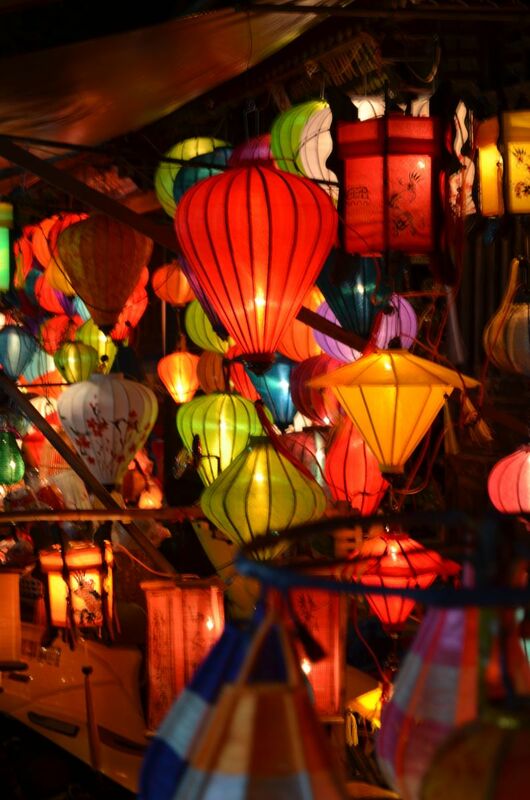 Hope you will have a chance to visit Ubud - and try some of these fabulous restaurants - in the near future. Aloha! 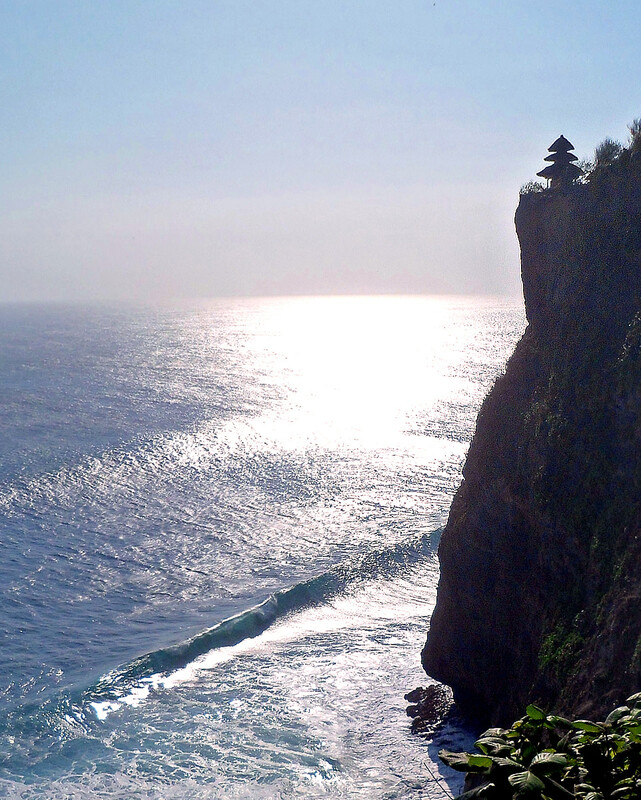 I used to be a frequent visitor to Bali, and every time spent a few nights in Ubud. 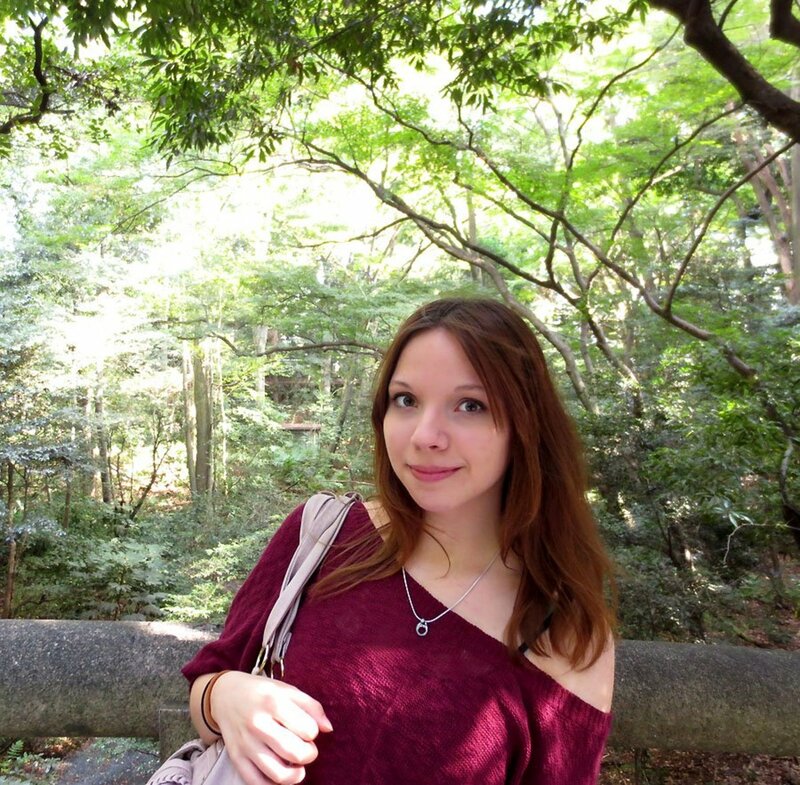 I loved the markets and the Sacred Monkey Forest. The food back then was nice ... but nowhere near as tempting as all the delights you featured in this hub. Viet, great hub. Beautiful photos of delicious food. Thanks for sharing. Congrats on HOTD! Thank you thumbi7! Glad you enjoyed the hub. Happy travelling and eating!